So when I had some of my sweet friends over for brunch and coffee a few mornings ago, it gave me the opportunity to create something fun and new! I decided to replicate one of my favorite store-bought desserts: Raspberry Cream Cheese Coffee Cake. I personally thought that it was even more delicious than the one from the bakery! I am so thrilled with the way this dessert turned out! 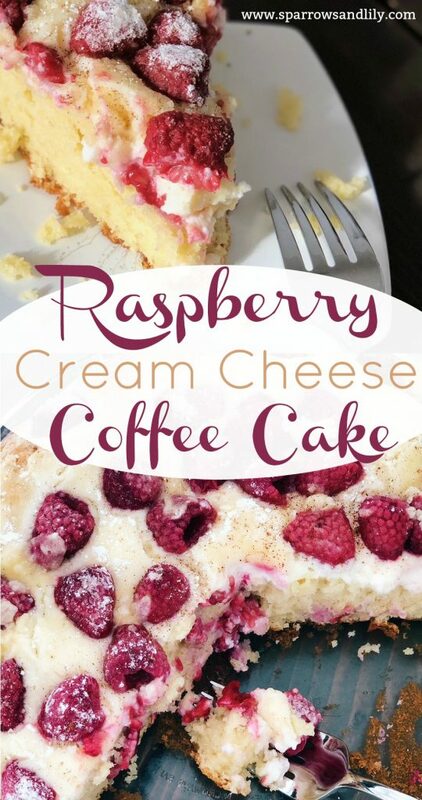 The combination of flavors was perfect; the silky cream cheese combined with tangy raspberries and a smooth yellow cake makes for a delicious accompaniment to your morning cup of coffee! And although it takes a little bit of time to make, it really is very simple and seemingly impossible to mess up! Notes: The next time I make this recipe, I will definitely add a brown sugar crumble as a topping to give it a little crunch and a tiny bit more sweetness. 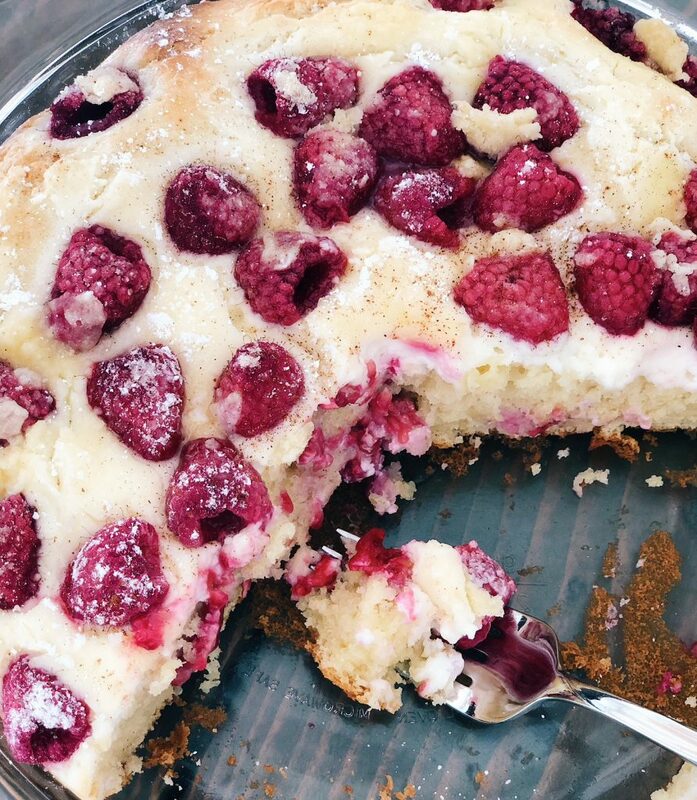 My husband, son and all of my friends, loved every bite of this Raspberry Cream Cheese Coffee Cake and it was gone before lunch time! 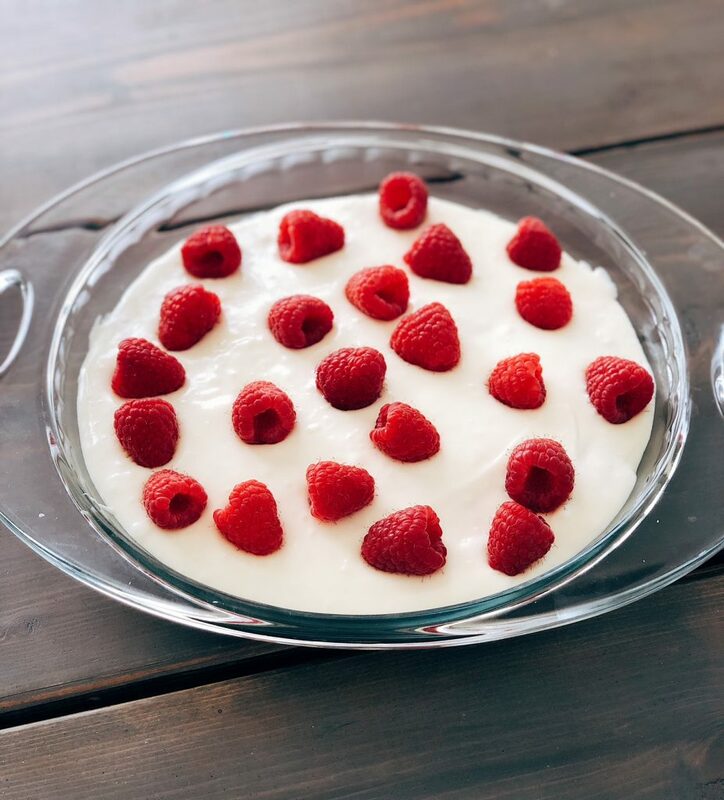 What is your go-to dessert when you have guests over? Let me know in the comments below! 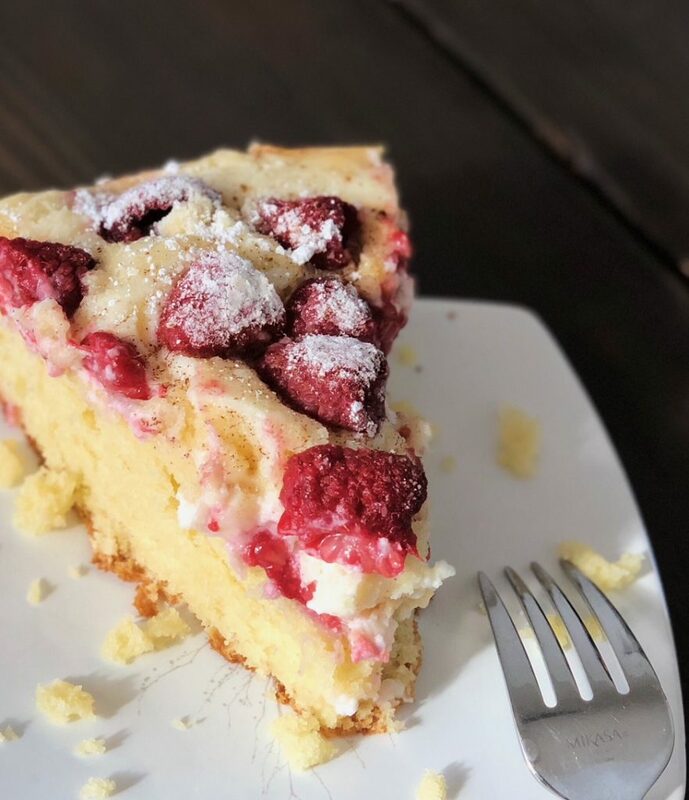 This tasty coffee cake creates the perfect combination of flavors with tangy raspberries, sweet cream cheese and a perfectly smooth yellow cake. Whether it's morning or evening, you won't regret grabbing a cup of coffee, your favorite book and a slice (or two) of this delicious cake! Preheat oven to 350F. Grease 9-inch springform pan or 9-inch pie plate and cover bottom and sides with non-stick spray. For the cream cheese filling: Mix together cream cheese and 1/4 cup of sugar on medium-low speed until creamy. Add egg white and mix on low for 10-15 seconds. Set aside. For the cake batter: In a bowl, stir together flour, baking powder, baking soda and salt. Set aside. With an electric mixer cream together the butter and sugar on medium-low speed. Add lemon zest. Add egg and egg yolk and vanilla. Slowly add small amounts of the flour mixture alternating with the sour cream. Place the batter into the prepared pan and smooth with a spatula. Spread the cream cheese filling on top. 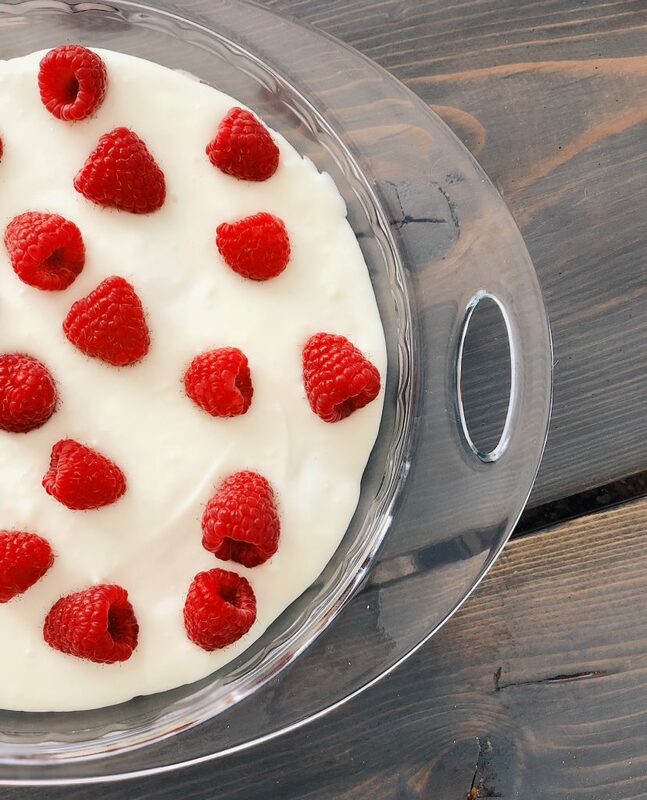 Place raspberries onto cream cheese filling. Bake for 40-45 minutes until a cake tester inserted in the center comes out clean. (The cream cheese may still be a little gooey, you are only testing for doneness of the cake.) Enjoy! If it isn't devoured immediately, store in the refrigerator! Click here to receive my TWO, FREE Recipe eBooks with Sugar Cookie Blueberry Cobbler, Pecan Pumpkin Bread with Maple Glaze, Creamy Spinach + Artichoke Dip with Garlic Cheese Toast + more! 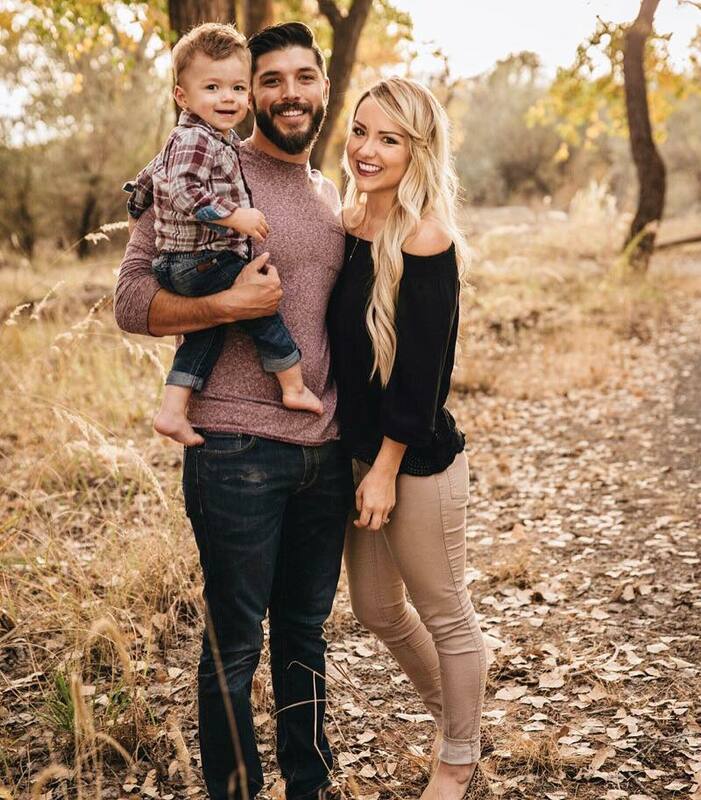 Lindsey Maestas is a Christian based out of Albuquerque, NM. She is a wife to a loving husband and a stay-at-home-mom to a sweet little boy with another little one on the way. 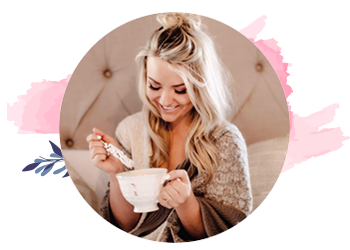 She received her degree in Journalism and is a writer for the faith-based lifestyle blog, sparrowsandlily.com. She loves Jesus, event planning, baking and binge-watching Netflix with her husband. Find her on Instagram, Facebook and Twitter. I love raspberries so I’m positive this would be a winner for me! This looks so good! I love cheesecake a raspberry together! I need some of this right now! Looks so delicious! I love how this looks delicious and beautiful at the same time. Coffee cake is so good. This looks amazing. I love raspberry and cream cheese together! 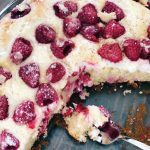 What a beautiful raspberry cream cheese coffee cake! I wish I could take a fork and reach through my screen to have a taste. This dessert is perfect for spring and upcoming Sunday brunches with family and friends. A really great coffee cake recipe is something that everyone should have on hand to make for friends and family. Your recipe sounds perfect and looks incredibly delicious.